On Halloween night at 11pm ET, an actor will give up their free will. They will let internet users control their every action. The event will follow the story of an evil Al by the name of Zookd. He has accidentally been released online. Internet users will have to collectively help the actor to defeat Zookd….. 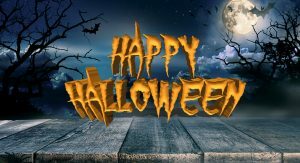 Here at Softlink Solutions, we hope you all have a happy Halloween, but don’t be tricked by any malicious evil cyber criminal being released online! To stay safe today and in the future, let us show you how we can uncover any gremlins that may be masking security loopholes in your business. Read more here.